Amid rumors about whether LG Electronics intends to join the upcoming foldable smartphone competition, a source confirmed to The Korea Herald on Sunday that the company will showcase a foldable smartphone exclusively to its business-to-business customers at Mobile World Congress 2019 in Barcelona next month. 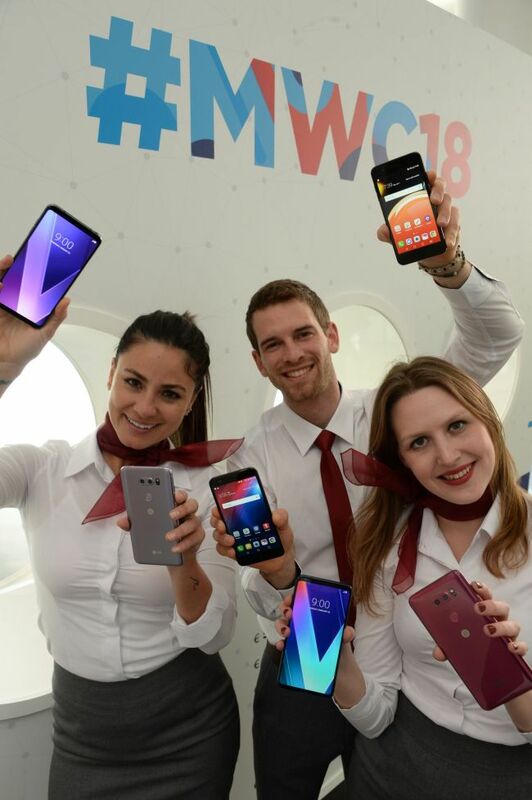 “LG will showcase the foldable smartphone under development to its VIP customers at a private booth to be set up the MWC,” said the source, who is familiar with the company’s mobile communications division. Unlike its rivals in the smartphone business, LG hasn’t officially announced it is developing a foldable smartphone. It has not yet been decided whether the company will publicly announce its progress on development of the foldable phone. But the source’s comments suggest that the company’s development efforts have neared completion and it is now considering the timing of the phone’s commercialization. Kang In-byeong, chief technology officer of LG Display, a major supplier of display panels for LG Electronics, told The Korea Herald at CES 2019 that the company was ready to provide panels for the foldable phone, but that it hadn’t yet been decided when commercialization would take place. So far, it’s been confirmed that LG will introduce the eighth edition of its flagship G-series smartphone. And industry forecasts say it is also planning to showcase what is called a “dual display” smartphone, with a second display screen on the rear side. LG’s foldable model will differ from the so-called “dual display” phone at the Barcelona trade show, according to the source, and will fold outward instead of inward -- unlike Samsung Electronics’ inward-bending phone. LG’s PR officers refused to confirm any details about the foldable model, acknowledging only that LG is going to be running a private booth at the congress. “Except for the new G-series phone -- which could be called the G8 -- what models will be unveiled at the show next month has not been finalized yet,” a company representative said. China’s Huawei is planning to present its own foldable phone in Barcelona. Motorola is also coming up with a foldable model, according to news reports. Samsung is unveiling its 10th-anniversary Galaxy phones together with its foldable phone in San Francisco on Feb. 20, five days ahead of the congress.